A to Z Literacy Movement is grateful to Mrs. Welder’s English class of Crystal Lake Central juniors for once again taking on the wonderful project of *Books in Bags*. Each CLC student chooses a fiction or nonfiction picture book and practices reading and rereading the book aloud. The students then head to the school library to record their reading with Mrs. Nelson, Crystal Lake Central’s librarian. Once the recording is complete, the students create a short comprehension check and discussion guide with questions and prompts to be answered or discussed by students in our Zambian partner schools. The *Books in Bags* are a fantastic asset to any classroom or library listening station, and we are really excited about this year’s selection of picture books. Thank you so much to the teachers and students involved in this literacy project! As one of the book gatherers for A to Z Literacy Movement, I see a great number of books come into our hands. Occasionally the books contain secret treasures, flattish objects that someone who once held the book stored away inside. 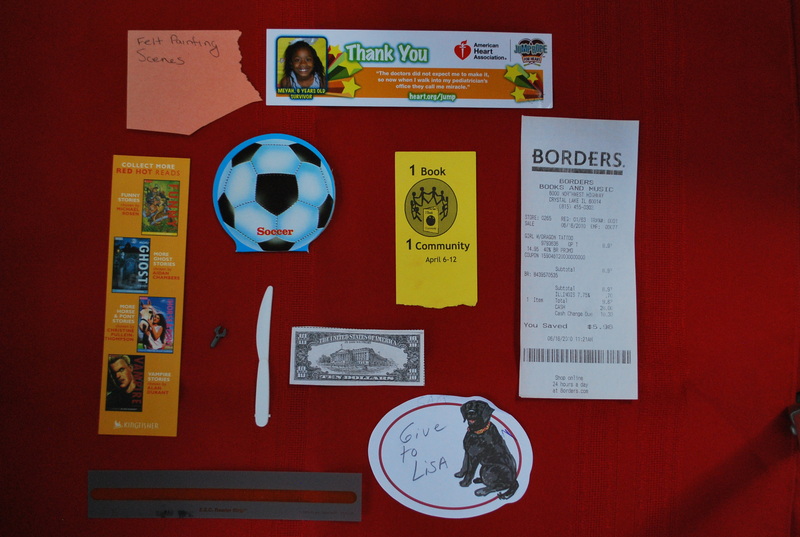 Typically, they are bookmarks, but we see other items: a book’s receipt or scraps of paper with notes written on them. We picture a student patiently using the E.Z. Reader strip and see that a miniature ten-spot suitably became a bookmark. 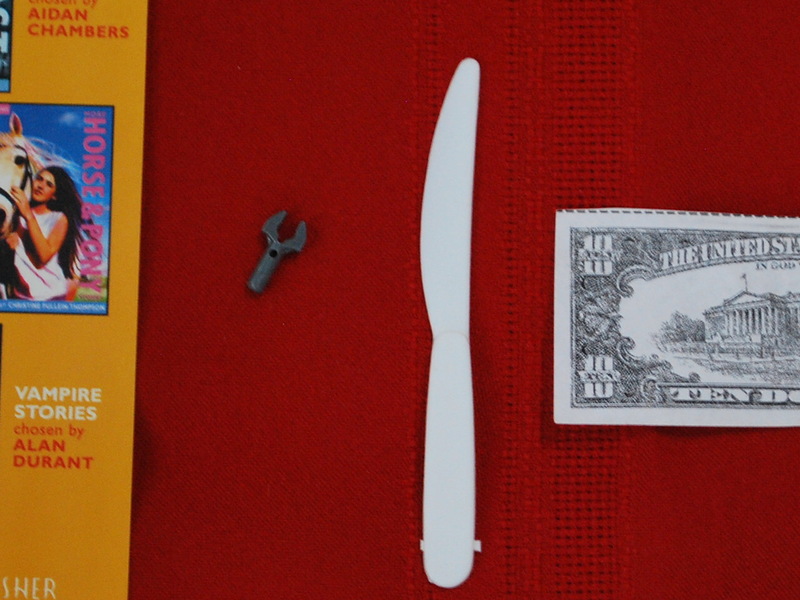 Even plastic toys wind up in books as the accompanying picture shows. We are ever appreciative of our book donors, as we couldn’t do our work without them. And we’re reminded of the tale within the book when something slips out from it’s pages.